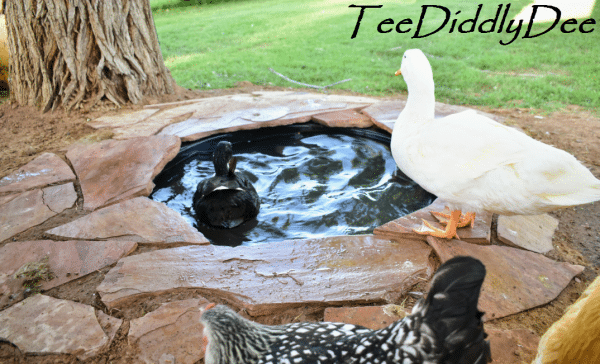 Make sure to watch my little ‘Duck Tale’ about Momma Duck and her pond! It seems that our 3 little quackers love it also, those Lucky Ducks!!! But the biggest question of the day is, “How does the pond drain,” right??? 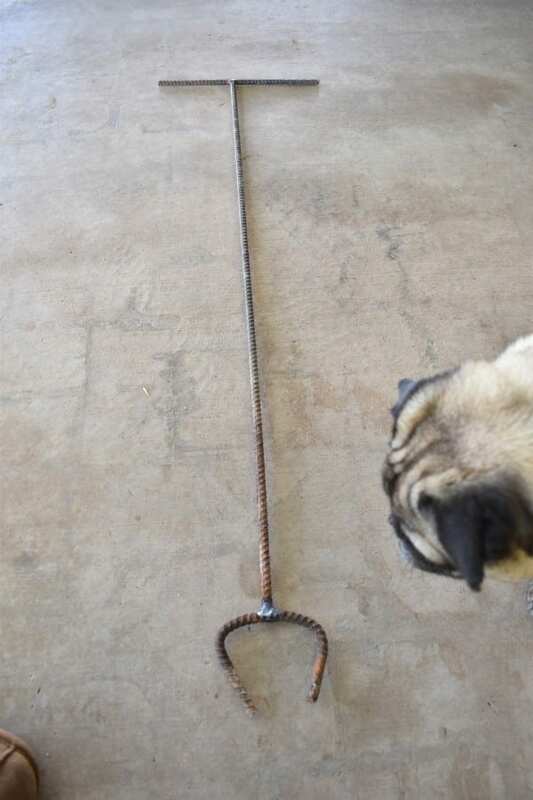 The answer to that big question is, with one twist of this handle. My pond drains at a lower level of ground in my yard. All I did was to attach a simple backwash hose to the drain. 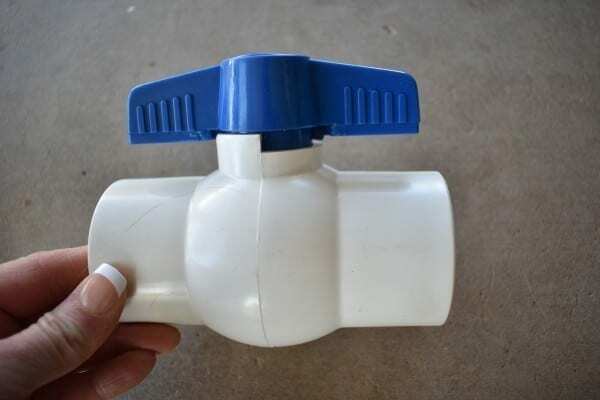 This allows me to water different areas of my yard with the drain water to avoid oversaturating the same area. 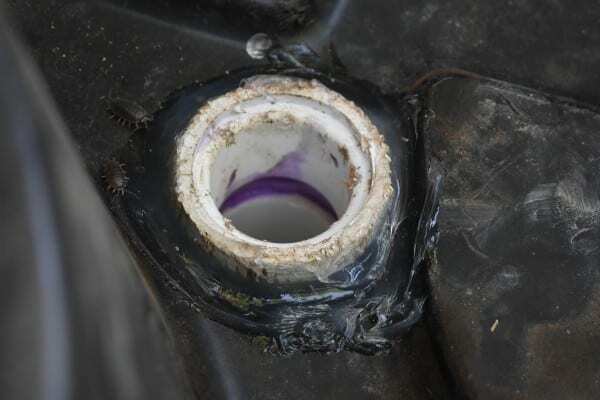 I love that the hose is simple to remove with one easy tug! Now I could’ve just put out a plastic kiddy pool, but those are such a pain to lift and dump every day, and it’s just no fun getting splashed by all of that yucky water. 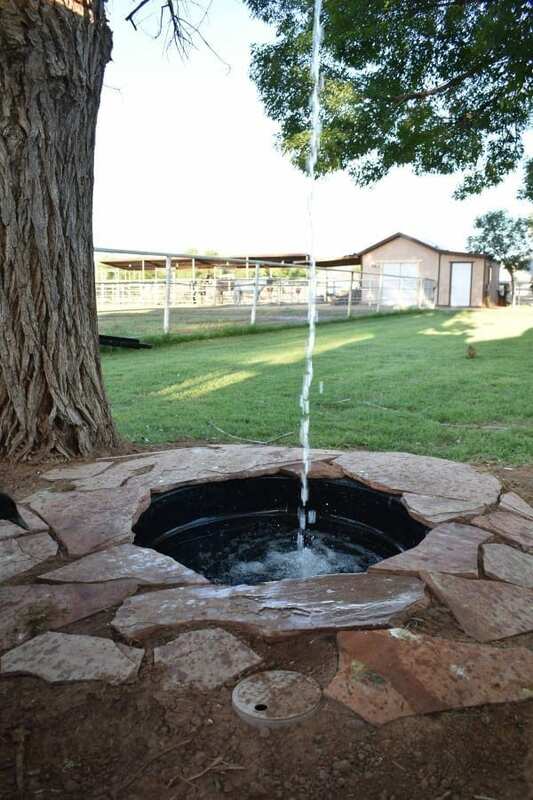 I wanted something that was easy to drain every day, refill with clean water, AND looked nice too. 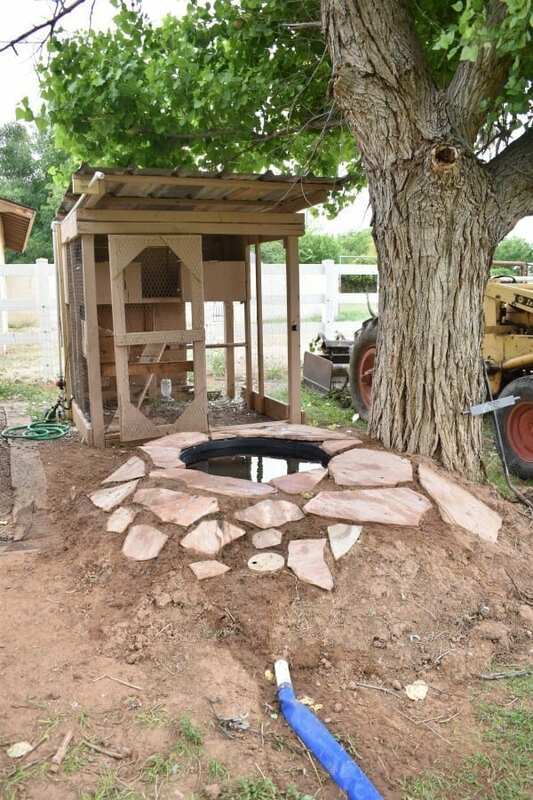 …but let me explain the REAL reason why I finally broke down and built this awesome pond. 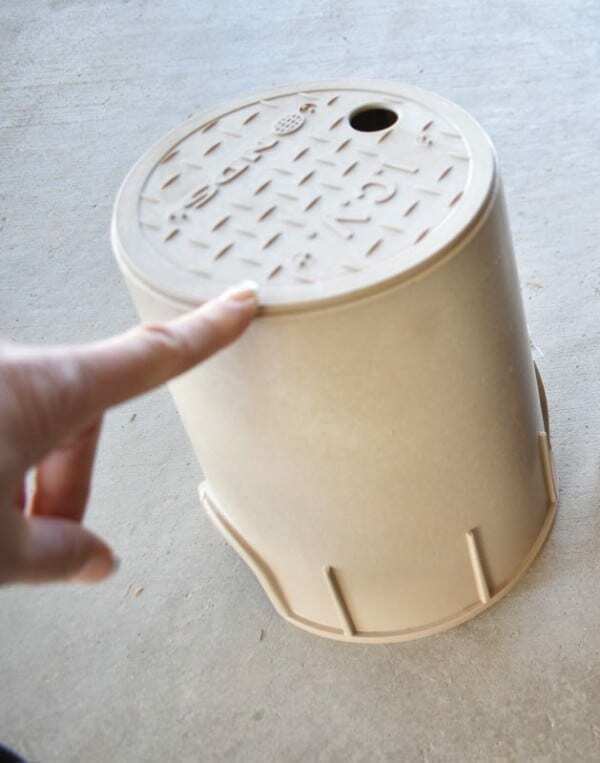 It all started a few months ago when I bought this really cool pet water bowl for the dogs and kitties. It’s called the Hydro Pet and it hooks up to my drip system. 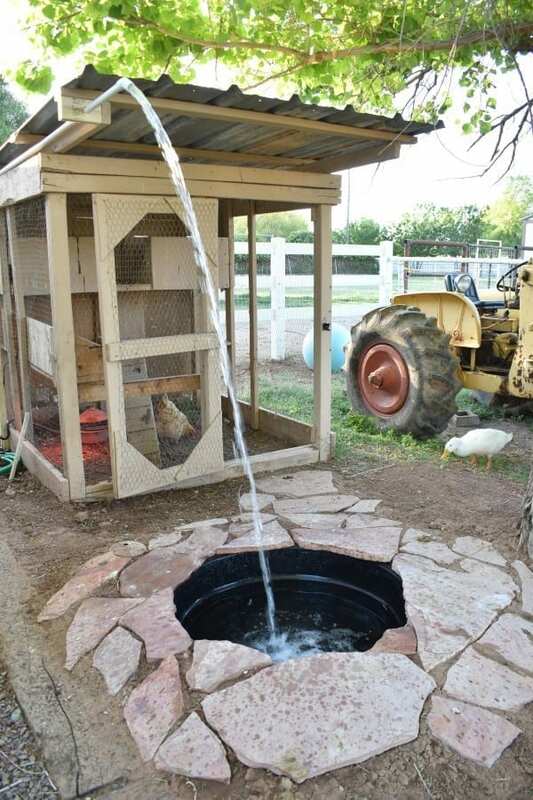 When it turns on, it’s self cleaning, self filling, and hence the dogs and cats always have fresh water. I was so excited about this new bowl, but there was only one problem. Our Mama Duck is obsessed with water TO AN EXTREME! From the first day of hooking up my fancy new water bowl, this is what went on all day. 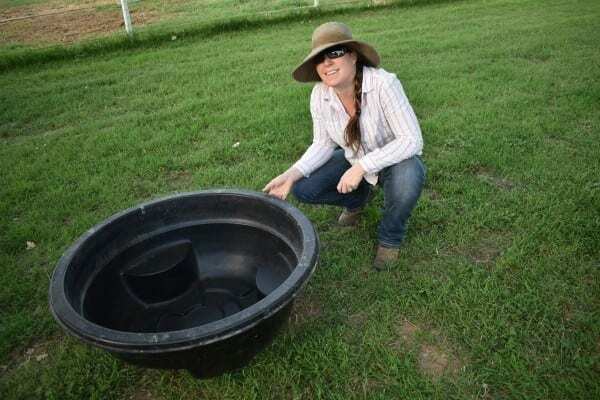 She just wouldn’t leave the bowl, and the dogs couldn’t get to their water. So, I ended up putting out a separate glass bowl of water for the dogs and kitties, which completely killed the point of having an automatic water bowl! By the way, you’ll notice in the video that there are a couple small differences than in my finished instructions below. 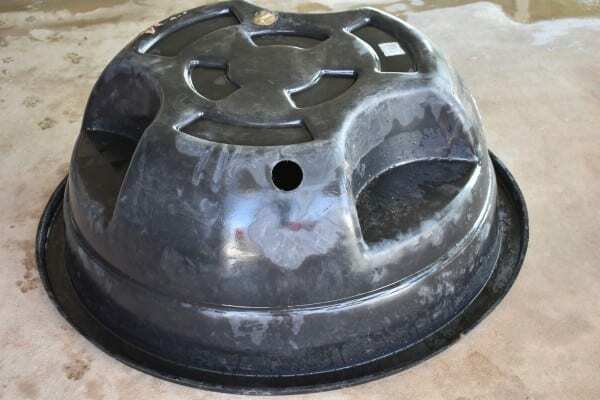 I changed the location of the drain hole in the bottom of my pond and also the location of my drain shut-off valve. 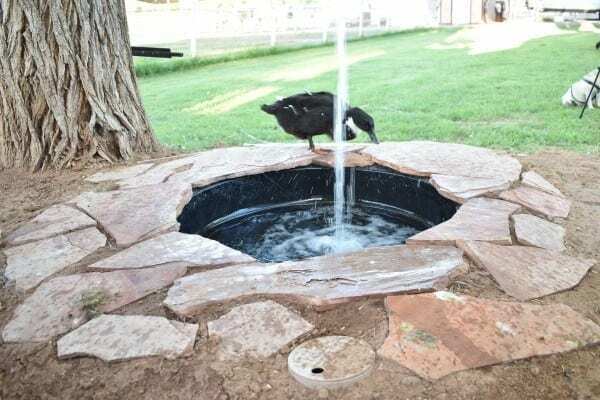 When I first made the pond, I used a leach line method by burying a ton of rocks underneath my pond and having the pond drain into the ground. 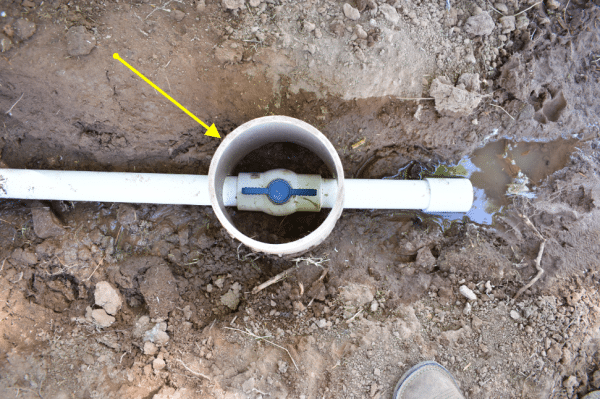 Alas, this only worked for about a week as the ground stopped taking in the water, and my pond stopped draining…UGH! 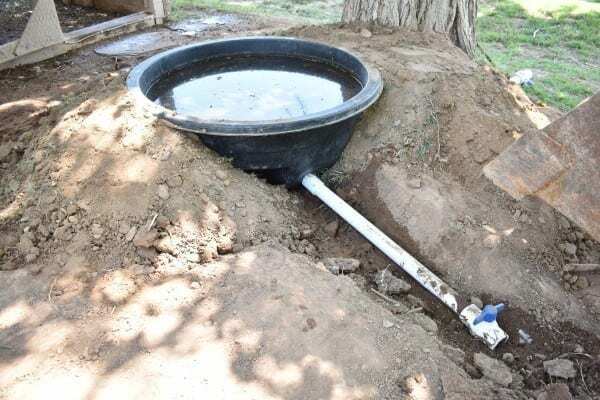 To make a long story short, I ended up digging up and redoing my whole pond and this time putting in a drain that led to a lower part of the yard. 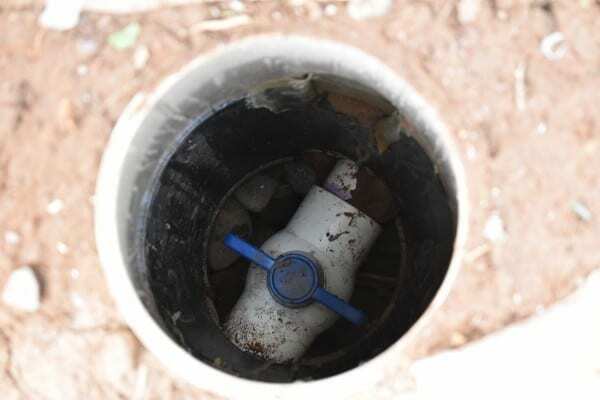 My second attempt is fool proof from clogging my drain…WHEW! 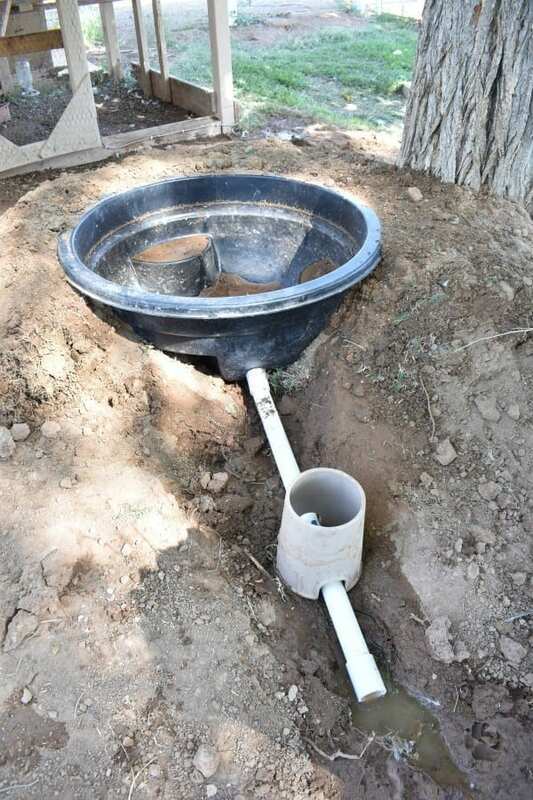 A mound of dirt or rock to sink your plastic pond into (for good drainage, the bottom of your pond needs to be at a slightly higher level (like an inch) than the lower ground where the drain water will be drained to. 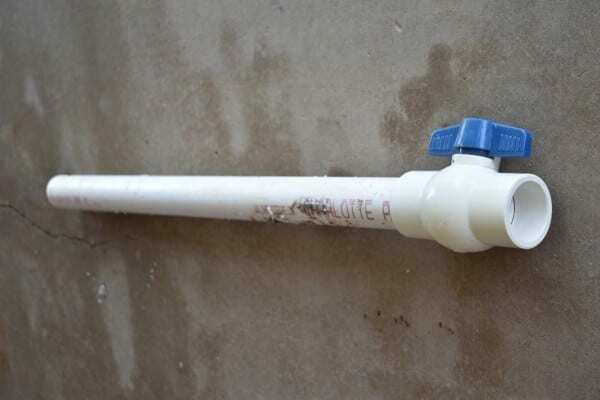 1 – PVC Pipe (1-1/2 inch diameter) 12 inches long (You will attach your drain hose to one end and the other end will be pushed into the end of the drain pipe). 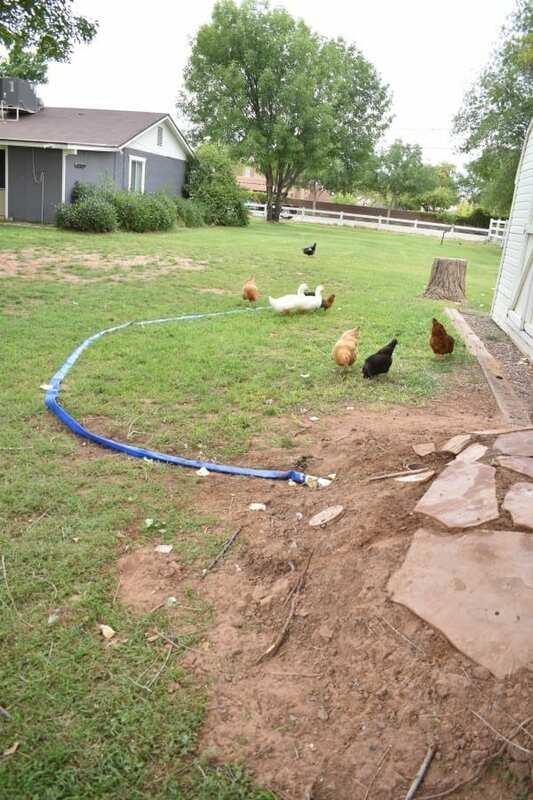 Since I use flood irrigation to water my yard, my chicken coop already sat on a dirt pad that was somewhat higher than the rest of my yard, to keep it from getting flooded when I irrigated the yard. All I had to do was dig a hole to sink my pond into it. 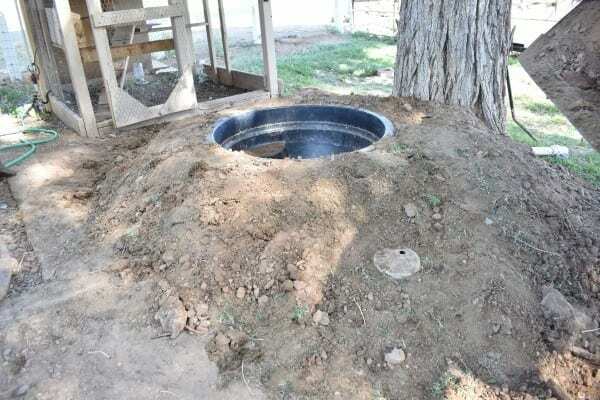 If you don’t have this, simply dump a mound of dirt or rocks in the area you want your pond, then sink your pond into the center of the mound. 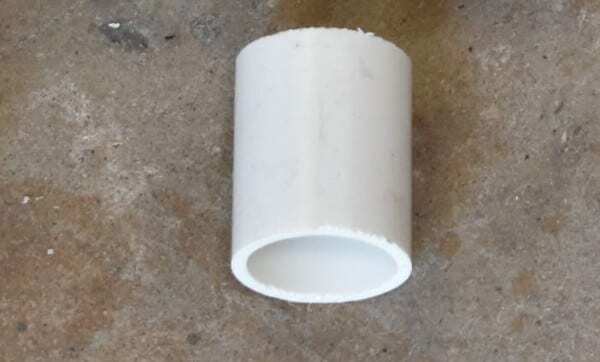 Using the hole saw, cut a hole in the side-bottom of your pond. 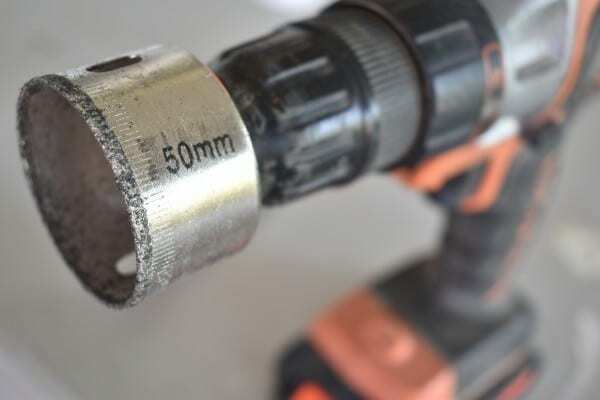 Find your #3 coupling, cut off the smooth side and throw it away. 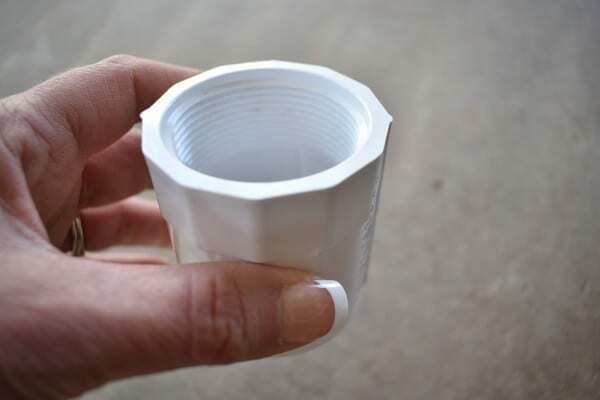 You will only be using the threaded side (This will serve as the actual drain opening that attaches to the bottom of your pond). 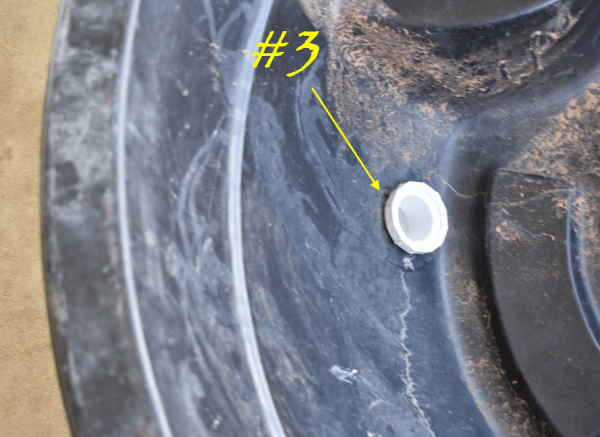 Gather both your #4 coupling along with the #3. 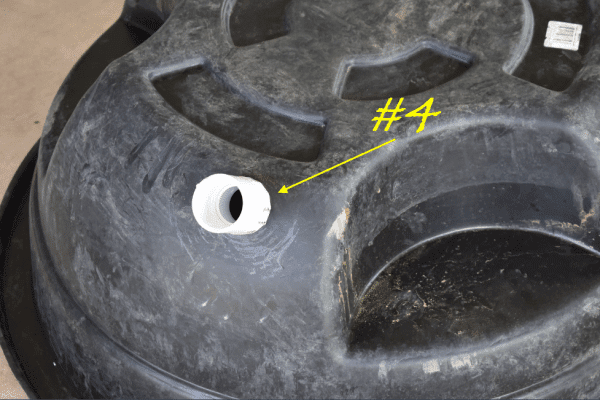 Place the #4 coupling on the outside of the pond and the #3 coupling on the inside, (sandwiching the pond in-between them), screw both couplings together tightly. 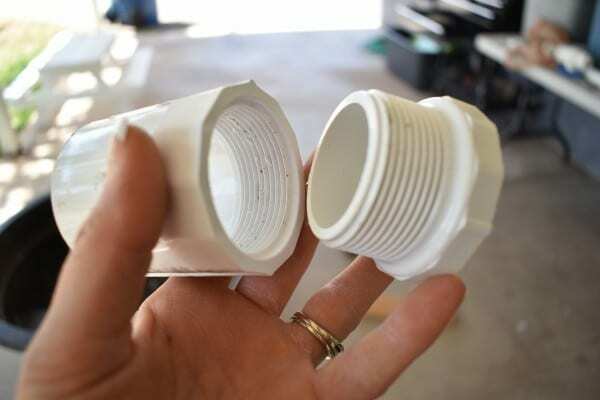 The tighter you get them, the better seal you’ll get, and you may not need the silicone to seal the drain later. 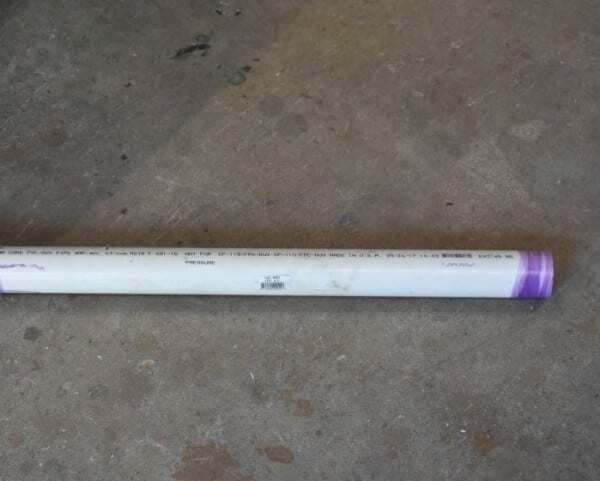 I attached another 1ft long pvc pipe with a coupling on the end. 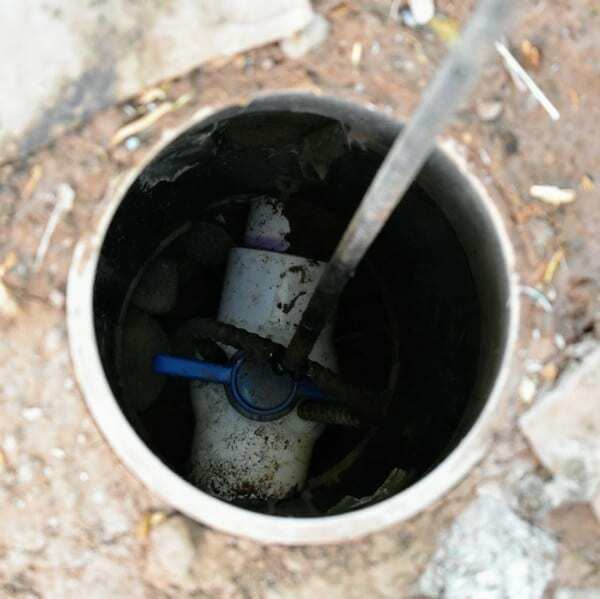 Next, set the valve box on top of the drain shut-off valve. Fill it all in with dirt. 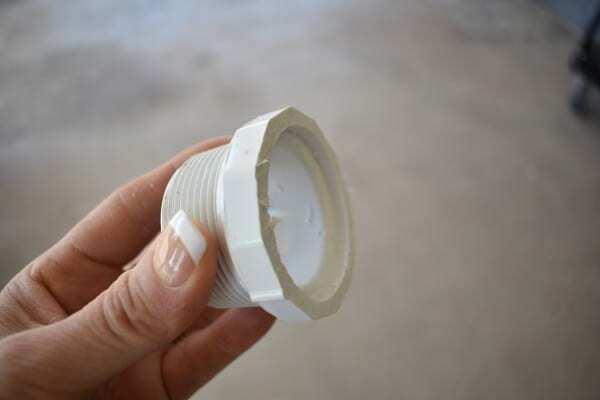 Add some silicone around the drain to seal from leaking. Your pond is ready to drain! My hose will divert the dirty pond water to any part of my yard! 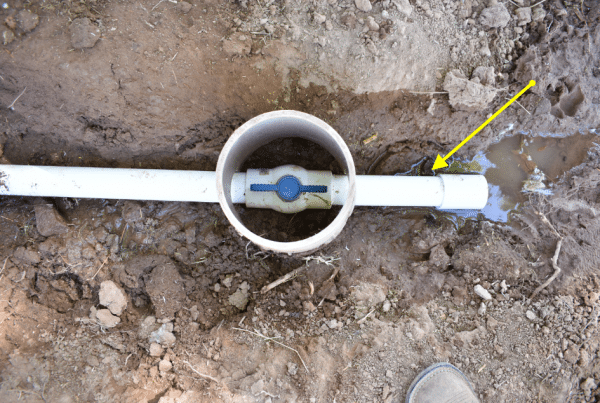 To go a step further, my handy hubby welded up this cool little extension tee handle so that I don’t even have to stick my hand down into the valve box to drain the pond. 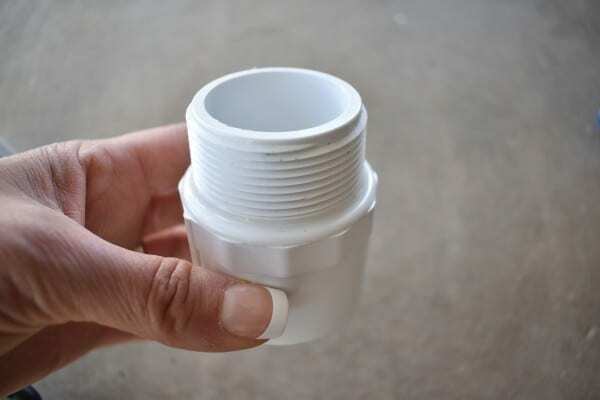 Simply stick the bottom end of this extension onto the handle of the drain valve and twist! 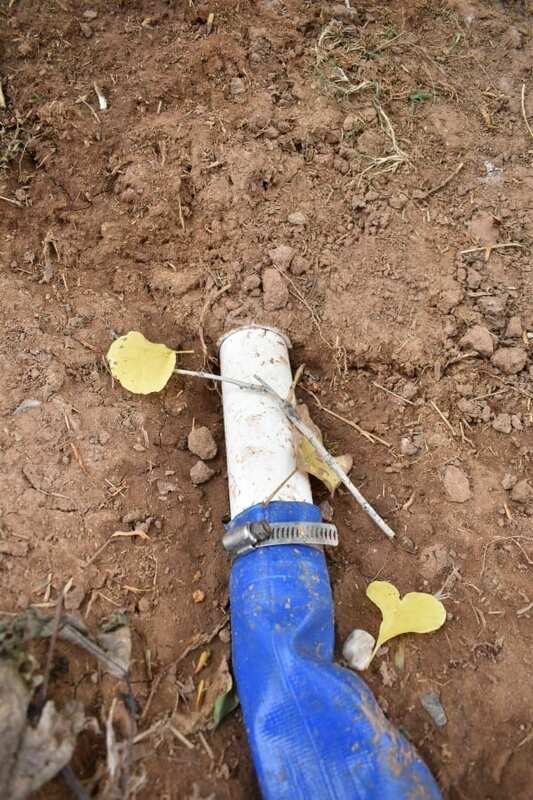 To create the water fall, a simple line of PVC was connected to my on/off water spicket, and run up along the side of the chicken coop. I attached another 9o degree elbow and ran more pipe along the roof so it was overhanging a little ways from the edge. 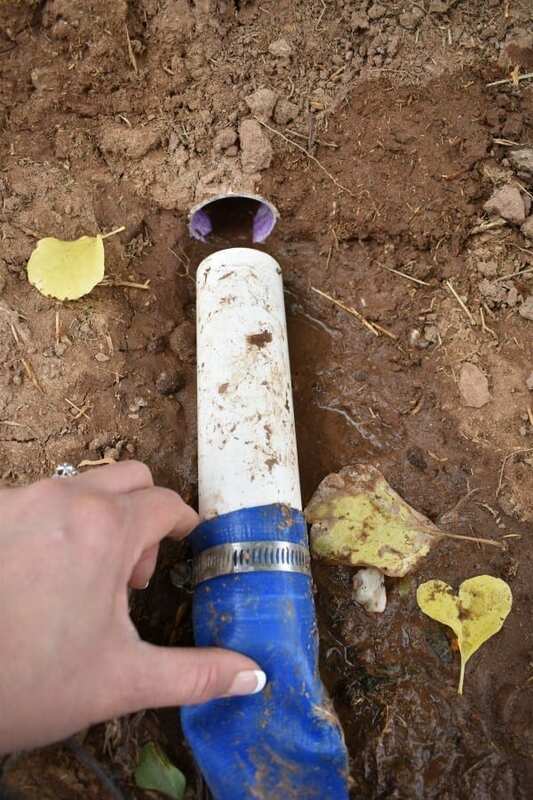 A 45 degree coupling was pushed onto the end of the pipe to direct the water slightly to the right, and smack dab into the pond. To finish it off, I added some decorative flagstone around the perimeter. 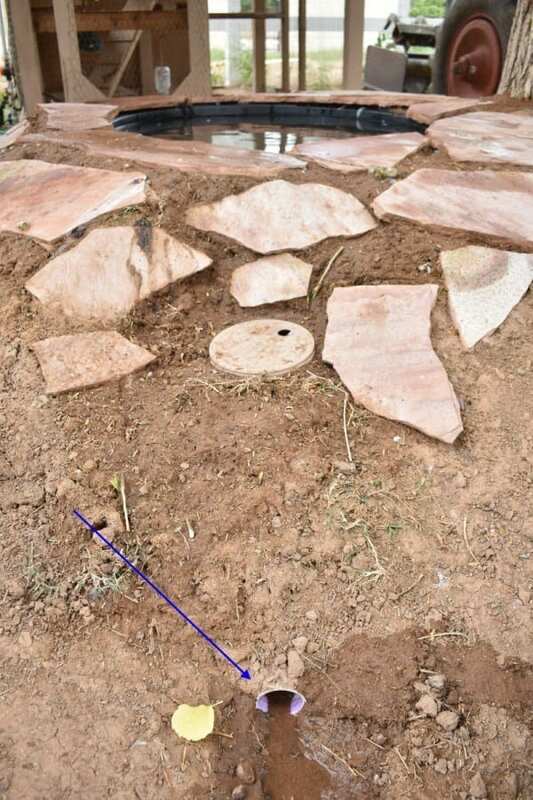 I did this by first placing the flagstone where I wanted it, then poured dirt on top of the stone to fill in the cracks in-between. After all the cracks were filled, I swept the remaining dirt off of the stones, then lightly sprinkled some water over it all. Doing this holds the stones in place. My ducks are now happy campers and swim in clean water every day! I get a lot of compliments on the pond as well. Don’t you agree that it turned out great?!! Have a Lucky Ducky Day!!! Hi Tee, This is sooooo adorable! I’m glad Mama Duck has her little pond! What a cool project and such a cute little video. You make me smile! Thanks for sharing! I enjoying seeing your blogs. Thank you for sharing. Wonderful ideal and very attractive to the eyes. Great video and step by step instructions. Would you like a white male duck? I need to find a home for him. Thank you for all your great projects! Hi y’all from 12,000 miles away down under! I just love this idea. I will definitely begin making this at Parky’s Patch, Jeeralang Junction VIC Australia. 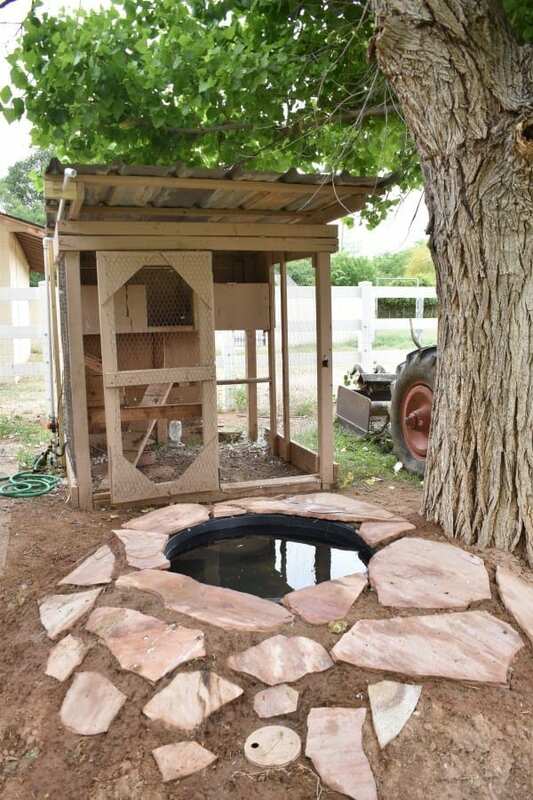 My American Pekin, Cayuga and Khaki Campbell’s ducks will love the new swimming hole. 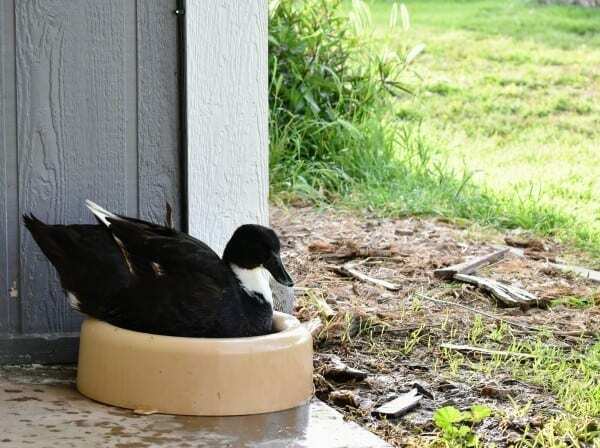 I’m so glad you like my duck pond! Please come back and share a picture of yours! I would love to see it when you are finished! You will love how you can easily drain it! Thanks for visiting!